Latezonatus Clownfish, is sometimes called the Wide-Band also sometimes called the Lord Howe Clownfish. These clownfish can be located off the Eastern Australian Coast as well as Lord Howe Island. 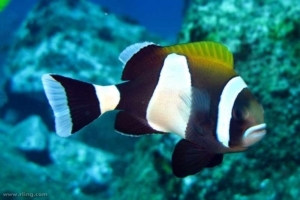 Latezonatus clownfish for sale are dark black in appearance and have three bright white bands covering their bodies. Also, the middle band is much wider than the other two. The tail is also edged in white. 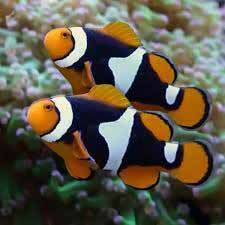 These clownfish are infrequently available and make a wonderful addition to the fish only or reef aquarium. A 50-gallon or larger aquarium is desirable. It may be kept in small groups and will be happier if a host anemone is present such as Haddon’s Sea Anemone (Stichodactyla haddoni). It becomes more aggressive towards conspecifics as it ages. The Latezonatus Clownfish diet consists of meaty foods such as mysis and enriched brine shrimp, herbivore preparations, and a high quality marine fish pellet and flake food. 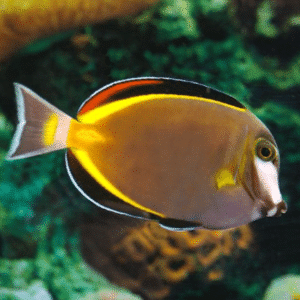 Buy your saltwater fish for sale online with confidence from Salt Water Fish Shop! When considering any saltwater fish for sale, be sure to only purchase from a high-quality saltwater fish store. 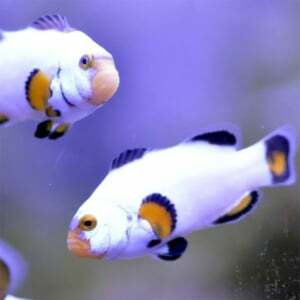 At CBReptile.com all of our salt water fish for sale, including our clownfish for sale are captive bred and NOT wild caught. We have a real Marine Biologist ON SITE and offer a Live arrival and FULL 7-day health guarantee on ALL Of our clown fish for sale. Our guarantee extends to 30 days for all customers who purchase full habitat kits. All of our orders ship via UPS Overnight in heated or cooled, insulated containers (when needed) and leave our facility at 6:45PM and are on your doorstep the following morning before noon. One Shipping charge of $39.95 covers up to 6 saltwater fish for sale online. 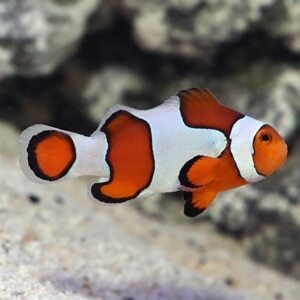 Searching for a laztezonatus clownfish for sale? We’ve got some spectacular captive bred laztezonatus clown fish for sale online!